I am an Assistant Professor of International Relations and European Studies in Johns Hopkins University's School of Advanced International Studies. I received my Ph.D. in Political Science from George Washington University. Following a postdoctoral fellowship at Cornell University's Mario Einaudi Center for International Studies in AY 2015-16, last year I was a Visiting Assistant Professor of Political Science at Barnard College, Columbia University. Bridging the fields of International Relations and Comparative Politics, my research investigates how contestation over various forms of identity (e.g. ethnic, religious, gender, regional) spills over from domestic politics to shape, and be shaped by, foreign policy. My regional focus in on Turkey and the Middle East, and I incorporate many pop culture and social media sources and participant observation into my data analysis in order best to capture the various, especially vernacular, discourses on identity present in my cases. My book manuscript, forthcoming from Oxford University Press and entitled Identity Politics Inside Out: National Identity Contestation and Foreign Policy in Turkey, draws on 18 months of fieldwork across Turkey I conducted while based as a Visiting Research Fellow at Bilkent University in Ankara. Using Turkey as an empirical window into broader links between identity and international relations, I develop an "inside out" theory of identity contestation to account for how the contours of debates over national identity change over time, and the conditions under which these debates spill over into foreign policy. 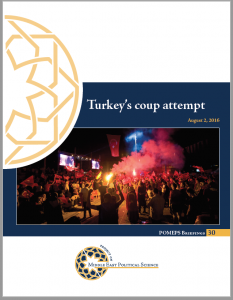 Using data I gathered from a wide array of sources, I employ intertextual analysis to identify competing proposals for national identity present in Turkey, and process tracing to identify shifts in foreign policy initiatives, as well as the discourses that both reflect and shape identity politics. While focused on my research agenda, I am equally dedicated to and inspired by teaching. In Fall 2016, I taught teaching colloquia on Problems in International Security, and Political Violence and Terrorism at Barnard College; in Spring 2017 I taught courses on psychological approaches to foreign policy decision-making, social movements, and politics of the Middle East and North Africa. 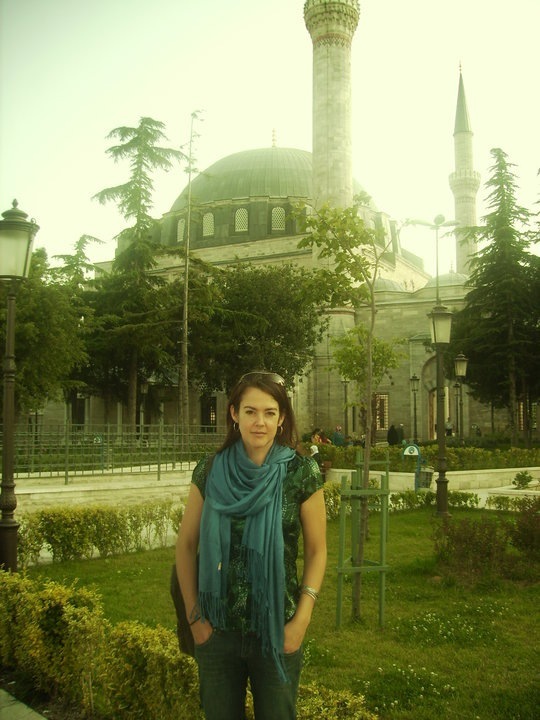 Prior to joining the faculty at SAIS JHU, I also accumulated experience as both instructor and teaching assistant at a wide variety of institutions including Cornell University, George Washington University, Bilkent University (Ankara), and the University of Kent's Brussels School of International Studies. Finally, I am committed to engaging broader communities in conversations on Turkey's domestic politics and foreign policy, particularly given the recent turbulence in both arenas. While at Cornell I participated on several panels on the Syrian refugee crisis, the Kurdish conflict, and the fight against ISIS, and spoke via media outlets such as BBC World News (photo left). I have also given talks on developments in Turkey and its region to audiences from New York to Ankara to Oxford. I have written numerous op-eds for Foreign Policy, The Washington Post (Monkey Cage blog), The Boston Globe, and Hürriyet Daily News (Turkey's largest English-language newspaper), and have published articles in European Journal of International Relations, Project on Middle East Political Science, The Washington Review of Turkish and Eurasian Affairs, and Turkish Policy Quarterly. Future projects include an analysis of the conditions under which domestic civil society groups choose to engage global governance actors in attempting to advance their platforms back home, a comparative study examining how domestic identity politics shapes the foreign policy trajectories of rising powers, and an investigation of pop culture’s role as a vernacular forum in which perspectives on foreign policy are reflected, informed, and contested.